Self-care is vital and prioritizing your well being is a must. Not only should we do it for ourselves but we should encourage our friends and family to focus on their wellness and health. Today I’ve rounded up some of the highest rated health and wellness gifts from Amazon. They are perfect for the wellness obsessed or your tired loved ones that need to practice some self-care! Essential Oil Diffuser– I ordered this exact diffuser from Amazon and love it! It is the perfect size, looks great, and gives off the right amount of aroma. I have had it for a while now and it is still going strong! With over 7,000 reviews, it is just barely shy if a perfect 5-star rating. 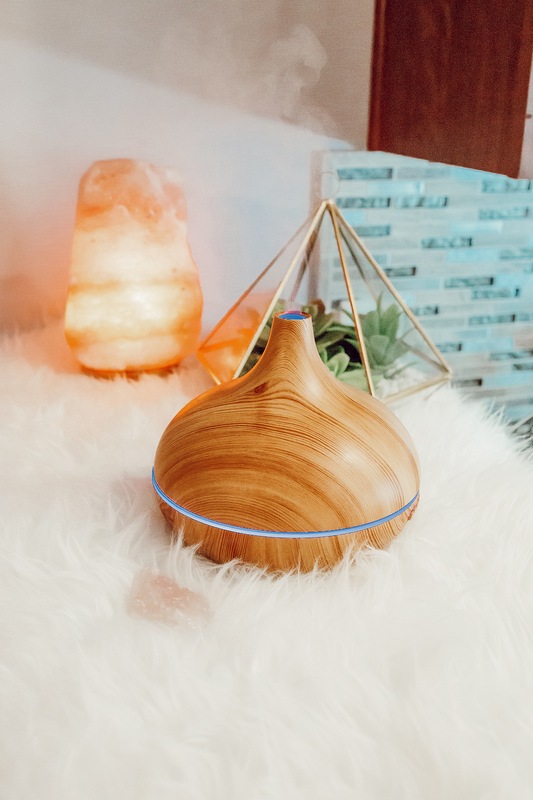 This diffuser also doubles as a humidifier. I love supplementing with natural therapies and wellness products and aromatherapy is fun and easy to add to your health routine. If you’re interested in a brief overview of aromatherapy and the benefits of various essential oils this article from Medical News Today, Aromatherapy: What You Need To Know, is an interesting read! If you don’t know much about essential oils I wrote a review on Art Natural’s Top 8 Essential Oils & Diffuser Set. Flexispot Standing Desk Bike– I am using my desk bike as I write this post! I was so excited when Flexispot contacted me to do a sponsored Instagram post with them. This blog post is not sponsored, I just love the bike so much I had to include it! Aztec Secret Indian Healing Clay– I have heard raving reviews about this face mask. This clay mask has over 18,000 reviews and is almost a perfect 5-star rating. I’m going, to be honest. I have this mask in my bathroom right now and have not tried it. The number of positive reviews makes me want to put it on asap! Aztec Secret’s website has facial recipes, as well as information on the science behind how the mask works. Dry Brush– Dry brushing is a great way to exfoliate and it provides a lot of health benefits by draining the lymphatic system. Some say it can reduce cellulite too, sign me up!!! Check out Refinery29’s post Everything TO Know About Dry Brushing. Acupressure Massage Mat– Acupressure is often used to manage pain and nausea associated with menstrual cramps, morning sickness, headaches, chemotherapy, and stress. I linked a super cute pink acupressure mat that I want!